Okaya lies on the banks of Lake Suwa at the center of the Japanese Island Honshu. From here you can clearly see the Yatsugatake mountain range and Mt. Fuji away in the distance. 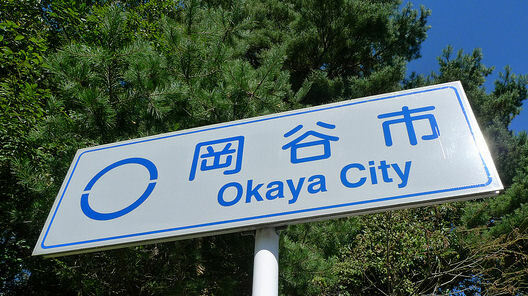 Okaya is a very scenic city. The spirit of enterprise is first nature to the people of Okaya and various kinds of industries have arisen. 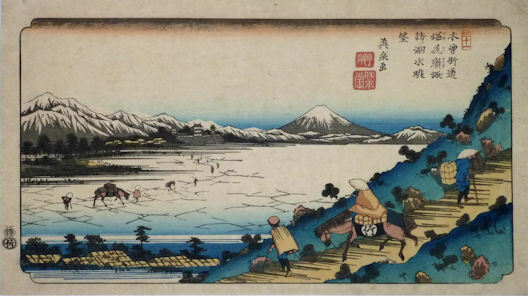 One of them was the production of silk, which began about 300 years ago during the Edo Period. Early in this century it made a great contribution to the nation by bringing in foreign currency. After the Second World War the main industry of the city became the precision instruments industry. Now we are involved in the super precision instruments and electronics industries. Internationalization, a highly information intensive society and an aging population are all urgent matters at hand now. The city stands ready to meet these challenges. Okaya is in the inland climate area and has four distinct seasons. In summer, we have hot but dry weather. In the winter it's very cold with moderate snowfall. Lake Suwa only occasionally freezes. From the middle of June to the end of July, we have a rainy season called "tsuyu".